Anatomy of Terror - Description | W. W. Norton & Company Ltd.
A compelling, definitive account of how and why bin Laden’s ideology keeps rising from the dead. In 2011, while the Muslim world was consumed with the Arab Spring, Osama bin Laden saw an opportunity: “the next stage,” he declared, “will be the reinstating of the rule of the caliphate." Within weeks, he was shot by a US Navy SEAL. Now, the group’s affiliates have swollen and Islamic State—al-Qaeda’s most brutal spinoff to date—proclaims itself the reborn caliphate bin Laden foretold. Ali Soufan dissects bin Laden’s brand of jihadi terrorism, revealing how these organisations were formed, how they operate, their strengths and their weaknesses. 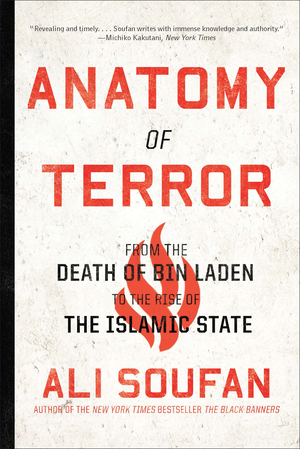 “Revealing and timely” (The New York Times), Anatomy of Terror lays bare the psychology and inner workings of al-Qaeda, IS and their spawn, and shows how the spread of terror can be stopped. A book that will change the way we think about al-Qaeda, intelligence, and the events that forever changed America.